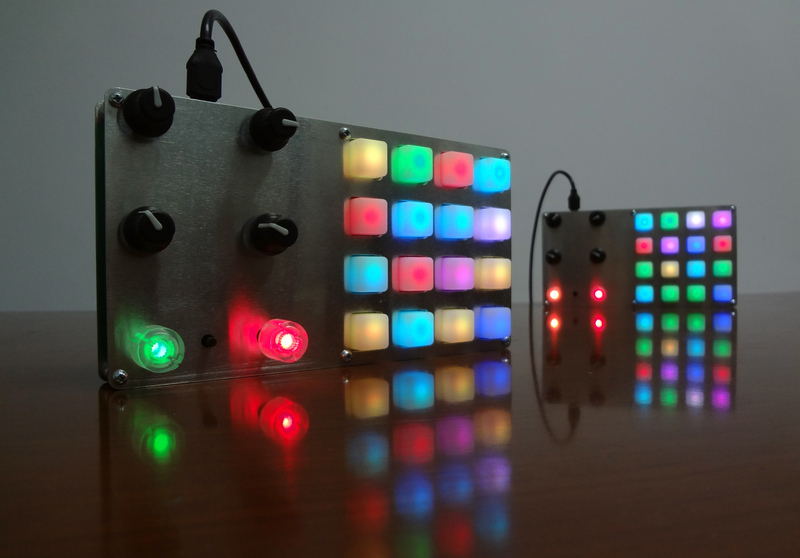 A USB-connected step sequencer with controller is now improved, and open source. The Digital Warrior is a boutique hardware controller hailing from Cyprus, combining a 16-voice, 32-step sequencer with four pots and two three-color endless encoders, all attached via a driverless USB connection. It’s capable of acting as a step sequencer/controller with any tools you like, but out of the box includes support for Traktor remix decks and Ableton Live control. The remix deck functionality with Traktor is a particular draw; developer and producer/DJ Tomash GHz pioneered this particular way of combining step sequencers and Traktor’s Remix Decks. (Check out a lovely video at top to see him in action.) But the controller also works with Ableton Live, and is pre-configured to control Drum Racks. Since those Drum Racks in turn can include loops, samples, or patterns, that can mean triggering whatever you like. And it’s worth checking out the documentation: everything from controller assignment to color to trigger operation mode (momentary/toggle) is easy to customize. There are even dedicated controller modes designed to work with Ableton or Traktor (the “Ableton” mode will easily work with any other software you have on hand, or, if you don’t mind including the computer, hardware). You can also store up to 64 patterns. My only hardware complaint is really that there’s no MIDI for standalone mode. For Traktor, Tomash has made two rather nice sample packs, so you can add a synth or drum kit to Traktor quickly. I’ve just started playing with the prototype, and now I think I’ll always have this with me when I’m playing with Traktor. But it’s also noteworthy that the Digital Warrior is now open source hardware, under a Creative Commons ShareAlike license. Enclosure, firmware, and circuit board are all up on GitHub. This is significant for several reasons, especially in light of a project by DJ Techtools which incorporates the step sequencing functionality. DJ Techtools’ Midi Fighter Twister hardware looks sleek and slick, and nicely condenses functionality to push-enabled, LED-ringed encoders. But you’ll notice two things. One, people on that site are already asking for custom functionality. 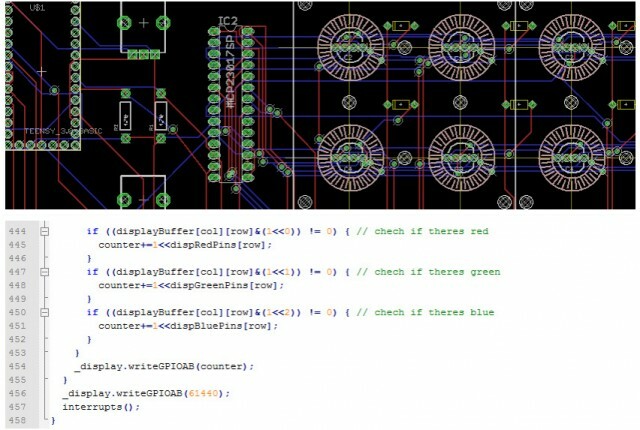 Having an open source project means, at the very least, enterprising hackers have access to the firmware and hardware, and can make modifications to functionality and enclosure. That isn’t relevant to everyone, and doesn’t even necessarily require an open source license – you could conceivably mod proprietary hardware. But having information exposed in this way can still save time. More importantly, though, one of the biggest concerns I hear from makers is that they don’t want to go open source for fear of being copied. In this case, the Digital Warrior was copied – and before it was open source. The Twister is a unique piece of hardware, but the approach to Remix Decks in software was based wholesale on Tomash’s implementation. The original announcement of Twister, combined with a video that touted this as the main feature, even failed to give him credit for that work. A later revision of the story explicitly named him, after DJTT readers complained (as the original examples had been posted to DJTT’s own community). The bottom line is this: you don’t have to be an open source project to risk being copied or even cloned. If you’ve got a good idea that’s reasonably versatile, you should expect it. Does that mean every project should be open source? Of course not; that has to be a per-project decision – and it can still make sense to keep elements of a design proprietary in order to protect them. But the choice isn’t as simple as staying proprietary to protect your work. And makers will keep copying ideas, either way. In many ways, that’s a good thing; it’s part of what allows us to continue designing music hardware that uses the best ideas from everyone. — and lots of fixes. See the firmware page. I personally love the idea of a dedicated step sequencing controller you can use with Traktor, Ableton, and the like. And I’m eager to hear what people would want out of this sort of hardware, or how you’d use it. So do feel free to sound off. I do really enjoy reading ideas and criticism.